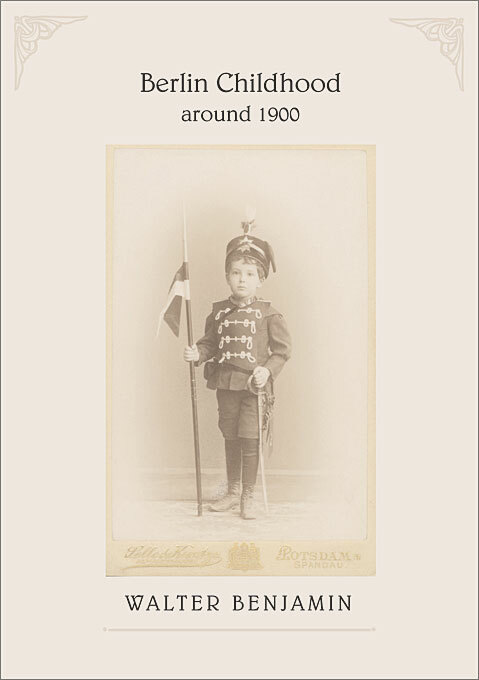 Begun in Poveromo, Italy, in 1932, and extensively revised in 1938, Berlin Childhood around 1900 remained unpublished during Walter Benjamin’s lifetime, one of his “large-scale defeats.” Now translated into English for the first time in book form, on the basis of the recently discovered “final version” that contains the author’s own arrangement of a suite of luminous vignettes, it can be more widely appreciated as one of the masterpieces of twentieth-century prose writing. 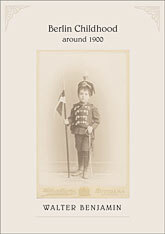 Not an autobiography in the customary sense, Benjamin’s recollection of his childhood in an upper-middle-class Jewish home in Berlin’s West End at the turn of the century becomes an occasion for unified “expeditions into the depths of memory.” In this diagram of his life, Benjamin focuses not on persons or events but on places and things, all seen from the perspective of a child—a collector, flâneur, and allegorist in one. This book is also one of Benjamin’s great city texts, bringing to life the cocoon of his childhood—the parks, streets, schoolrooms, and interiors of an emerging metropolis. It reads the city as palimpsest and labyrinth, revealing unexpected lyricism in the heart of the familiar. As an added gem, a preface by Howard Eiland discusses the genesis and structure of the work, which marks the culmination of Benjamin’s attempt to do philosophy concretely.